All of the content from BNF and BNFC, for iOS and Android. Summaries of Product Characteristics and Patient Information Leaflets for all UK licensed medicines, from the Medicines & Healthcare products Regulatory Agency. Summaries of Product Characteristics, Patient Information Leaflets and Risk Minimisation Materials for many UK licensed medicines, from Datapharm. Find information on medical topics, symptoms, drugs, procedures and news, written for the health care professional. Drug Safety Update: A monthly newsletter from the MHRA covering the latest issues in the safe use of medicines. LiverTox: Diagnosis, cause, frequency, patterns, and management of drug-induced liver injury. Drugs in pregnancy and Lactation by Briggs: This volume provides practical and up-to-date information on more than 1000 drugs for health professionals caring for pregnant and lactating women. Drugs during pregnancy and lactation by Schaefer: This work presents the state of knowledge about drugs in pregnancy. 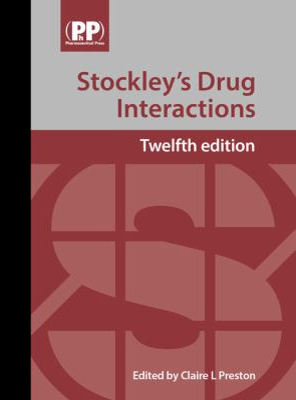 In each chapter information is presented separately for two different aspects of the problem seeking a drug appropriate for prescription during pregnancy, and assessing the risk of a drug when exposure has already taken place. Faculty of Family Planning and Reproductive Healthcare: Useful guidelines including choice of a contraceptive agent at different ages, in breast feeding, inflammatory bowel disease, interactions, missed pills and using pills outside their product licence, EHC and product reviews. Drug Tariff: Includes pricing for drugs and appliances. NHS Specialist Pharmacy Service Medicines Q&As: About 270 high quality, evidence-based and quality controlled answers to common or unusual questions about medicines. BUMPS – Best Use of Medicines in Pregnancy: Produced by UK Teratology Information Service. Provides leaflets suitable for members of the public which can be used in discussion with a health care provider. Renal Drug Database: Prescribing guide for renal practitioners. We have 3 concurrent accesses. Patient UK: After putting a term in the search box you will have a list of resources to choose from. Those with an apple and a plus sign are written for healthcare professionals and are an excellent resource with the following general headings: presentation, diagnosis, aetiology, epidemiology, assessment, management etc. Immunisation Against Infectious Disease (“The Green Book”): Official Public Health England guidance on the use of vaccines, including indications, contraindications, cautions, adverse effects and interactions.